Traveling for business can seem like a revolving door between one room and the next. When you are called to work on the West Coast, stay in an inn with the comforts of home and the business amenities you need to succeed. All of these inns provide free Internet access so you can always be connected to work and loved ones at home. 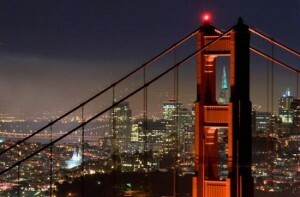 The Golden Gate Hotel in San Francisco, California, has been catering to travelers for 25 years. The inn is located in the safe Nob Hill neighborhood and within walking distance of the convention center and restaurants in Chinatown and North Beach. Easily travel to any meeting using the cable car or the five bus lines which stop within a block of the inn. Bring your own computer or use the laptop and printer in the lobby. The aroma of freshly baked cookies and free continental breakfast is sure to bring a smile to anyone’s face. 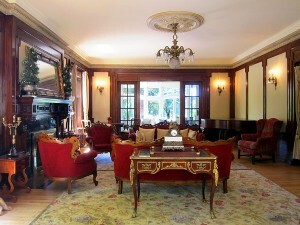 Enjoy an executive stay at the Shafer-Baillie Mansion, the largest home on Millionaires’ Row in Seattle, Washington. Walk to Volunteer Park, restaurants on Broadway, the 15th Avenue East business district, and downtown Seattle. Tourist attractions, the University of Washington, Seattle University, and city hospitals are a short ride away. The continental breakfast is available on a flexible schedule to meet working hours. Use either the cable modem or DSL service high-speed Internet and retrieve phone messages on a private voicemail. With only four guest rooms, the Carlton Inn Bed and Breakfast is a quiet place to stay within walking distance of downtown Carlton, known as the Wine Capital of Oregon. Enjoy a full hot breakfast or take one to-go. Plug in multiple devices using the convenient power strips in each room. Some rooms have writing areas and there is an accessible scanner. An iron is available to keep your business attire looking its best. Take advantage of mid-week discounts and flexible check-in times.Find the charm of a bed and breakfast with the convenience of a hotel at Americas Best Value Inn and Suites Carriage House in Jamestown, California. The front desk is open 24 hours a day for easy check-in. This affordable inn is five minutes from Sonora and offers the option of a guest room or private cottage. Use the in-room mini-fridge and microwave for breakfast or enjoy the complimentary lite breakfast. Fax service is available at the front desk. 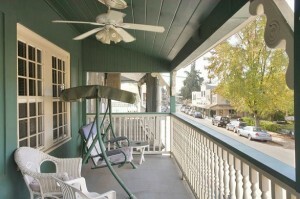 If you have some quiet time, sit on the balcony overlooking Main Street. 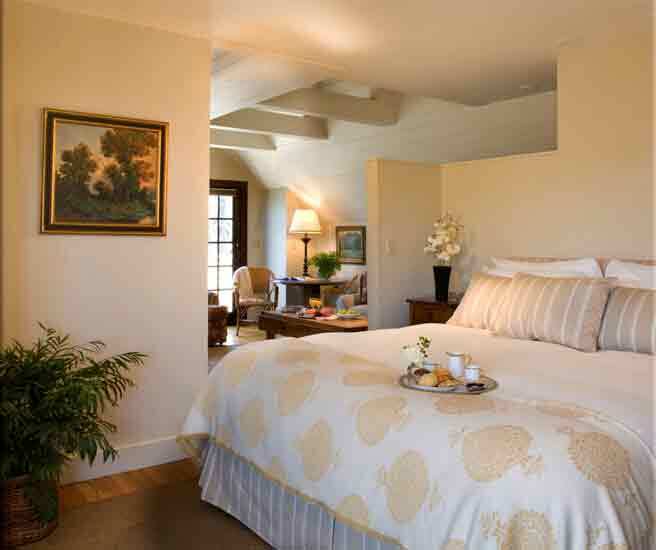 Find the charm of a bed and breakfast with the convenience of a hotel at Americas Best Value Inn and Suites Carriage House in Jamestown, California. The front desk is open 24 hours a day for easy check-in. This affordable inn is five minutes from Sonora and offers the option of a guest room or private cottage. 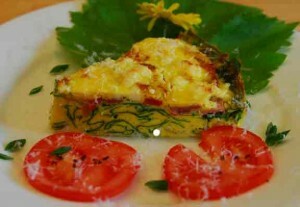 Use the in-room mini-fridge and microwave for breakfast or enjoy the complimentary lite breakfast. Fax service is available at the front desk. If you have some quiet time, sit on the balcony overlooking Main Street. Location is key and The Inn at Deep Canyon in Palm Desert, California, is near many fine restaurants and some of the best golf courses in the country. Entertain clients during the day and return to a garden or pool view room. Partake of the complimentary continental breakfast or walk to the Starbucks across the street. All guest rooms have a refrigerator, microwave, coffeemaker, and television. Plan a meeting in the hospitality room and use the business center and fax services. Host a corporate retreat at The Country House in Santa Barbara, California. Meetings are often more relaxed and productive when held in a living room setting. The inn will provide pitchers of filtered water and meals can be held at Louie’s California Bistro. Conveniently located just minutes from State Street and downtown, the inn has eight guest rooms, laundry service, and complimentary parking. Take a break from online news and keep up-to-date on world events with a daily newspaper and a cup of coffee.